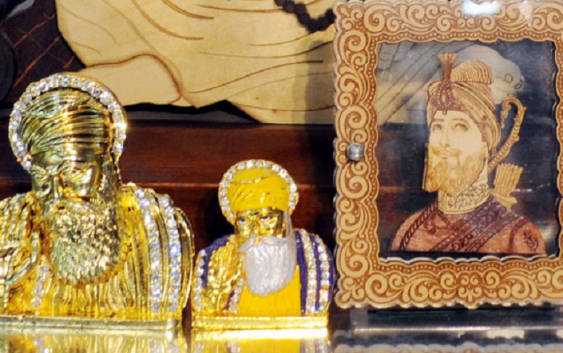 Akal Takht Jathedar Giani Gurbachan Singh has issued a warning against the manufacture and sale of idols of Sikh Gurus. He has also appealed to the Sikh masses to refrain from purchasing those as idol worship is against Sikh ethics. There were reports in the recent past of Haryana CM Manohar Lal Khattar being presented with the idol of Guru Nanak Dev at Gurdwara Manji Sahib, run by the SGPC in Ambala. The matter was brought to the notice of the Akal Takht secretariat reportedly by a complainant. “In Sikhism, idol worship is prohibited. This can lead to a wrong practice, if not stopped immediately. It is yet to be scrutinised if it was a deliberate move under some conspiracy that the organisers at the Kurukshetra function committed the blunder of presenting an idol of Guru Nanak Dev along with a ‘siropa’ to honour a leader,” said the Akal Takht jathedar. Costing between Rs 50 and Rs 1,500, these idols of Sikh Gurus, especially Guru Nanak Dev, have flooded Punjab’s markets. These idols, made of marble powder, metal or stone and having gold plating, are being sold in leading gift shops as well as in the vicinity of the Golden Temple. A survey revealed that a majority of these idols are imported from China, besides being arranged from local markets like Mumbai, Moradabad and Rajasthan. These idols are also available online. The objection is that Sikhism prohibits idol worship and only paintings of the 10 Sikh Gurus could be used for display or on calendars. A shopkeeper said that these idols were being sold for the past four years, but no one has raised any objection so far.